Are You Moving to or from Iowa? Moving to or from Iowa can be complex and challenging. The process of packing up all of your belongings, transporting them back and forth, and then unpacking each of your items at your new location is certainly not an exciting proposition. If you need an Iowa moving company, look no further than Global Van Lines. While moving can undoubtedly be a challenge, why let your next relocation be anything but seamless? If you start planning a move, let the professionals at Global Van Lines help alleviate the stress and make the process a simple one. Regardless of whether you want to move to Des Moines, Cedar Rapids, Sioux City, or one of the other charming communities within the state of Iowa, Global Van Lines can get you where you need to go. Servicing the entire state, we have a vast network of professional service providers who will help. With fast, flexible and reliable customer service, we provide the ultimate care to each and every one of our customers. Plus, we offer our customers a personal Moving Concierge who is knowledgeable and highly skilled in moving, and your Moving Concierge will help obtain custom quotes and direct moving services tailored to your needs, so you always get the most from your move. If Council Bluffs, Ames, Dubuque or Ankeny, Iowa is calling your name, contact us today. 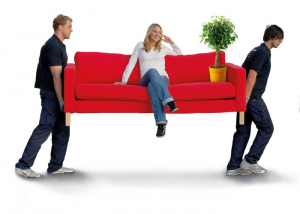 Not many local or long distance moving companies offer customers a personal Moving Concierge to assist with developing their own relocation strategy. At Global Van Lines, we set the standards in the moving industry, and we strive to build lifelong relationships with our customers. We travel the distance to make it right.